A free health care clinic sponsored by A.T. 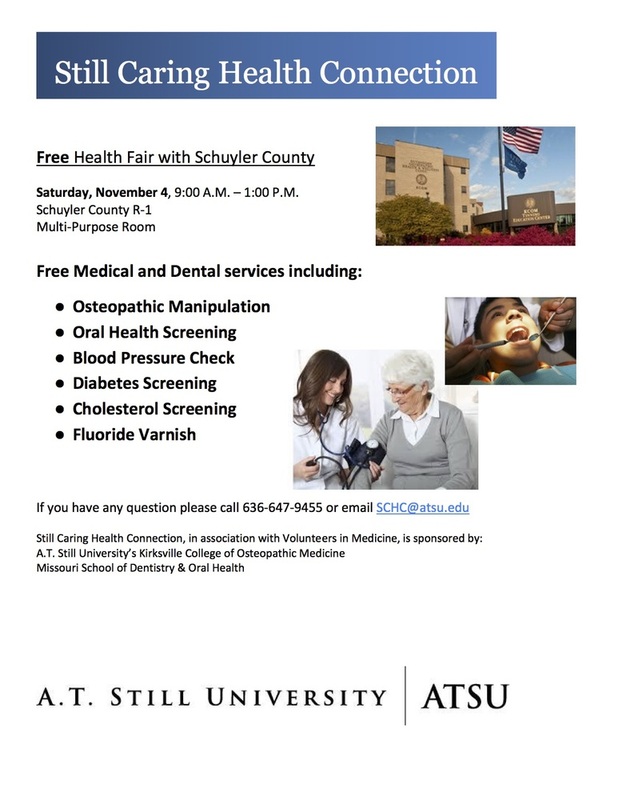 Still University’s Kirksville College of Osteopathic Medicine and the Missouri School of Dentistry & Oral Health will take place on Saturday, November 4, 2017 between the hours of 9:00AM and 1:00 PM in the Schuyler R-1 School's Multi-Purpose Room. The free medical and dental services offered include osteopathic manipulation oral health screening, blood pressure check diabetes screening, cholesterol screening, and fluoride varnish.